When a worker becomes disabled and cannot continue to work and earn salary, he or she has many different options for financial support to pay the bills. Whether you are suffering from an injury or illness, it is important to know and understand the many ways that you could apply for financial compensation for help during this difficult time. If you have purchased a long-term disability insurance plan from your personal insurance provider and are fighting to receive the financial benefits you need after a devastating injury, you need to know you are not alone. To schedule a free consultation with a legal representative, contact the Indiana long-term disability lawyers of Hankey Law Office at (800) 520-3633. There are a few key differences between long-term disability benefits and supplemental security income. The primary difference is that long-term disability comes from a private insurance provider while supplemental security income is a government program run by the Social Security Administration. Long-term disability insurance is typically provided by your company, or workers have the option of purchasing their own coverage. On the other hand, supplemental security income is given by the government to those who qualify. It is typically reserved for those who are blind, disabled, retired, or have a low-income and need financial help. If you have a long-term disability insurance plan and are having trouble recovering any benefits from your insurance company, you need the help of an aggressive lawyer. 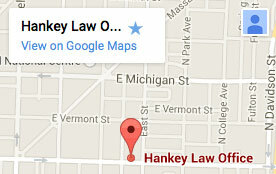 Contact the Indiana long-term disability attorneys of Hankey Law Office, today at (800) 520-3633 to discuss your case.